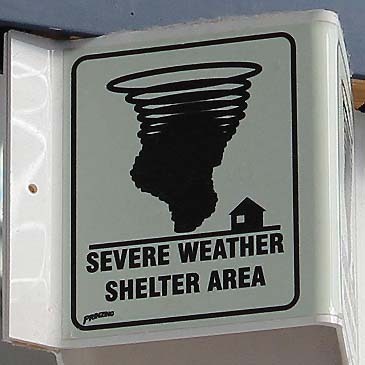 Images are from 4 May 2007 in Rosita Valley, Texas which was hit by tornadoes, killing seven people, on 24 April 2007. 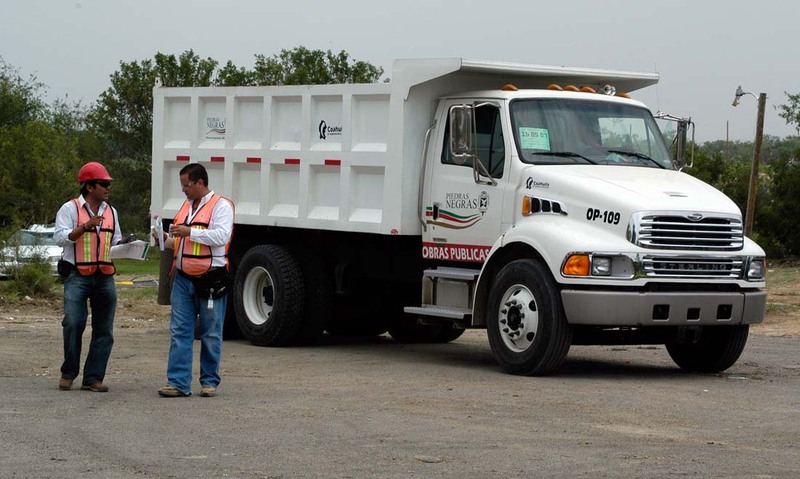 The neighbouring town of Piedras Negras in Mexico suffered three deaths in the same storm. 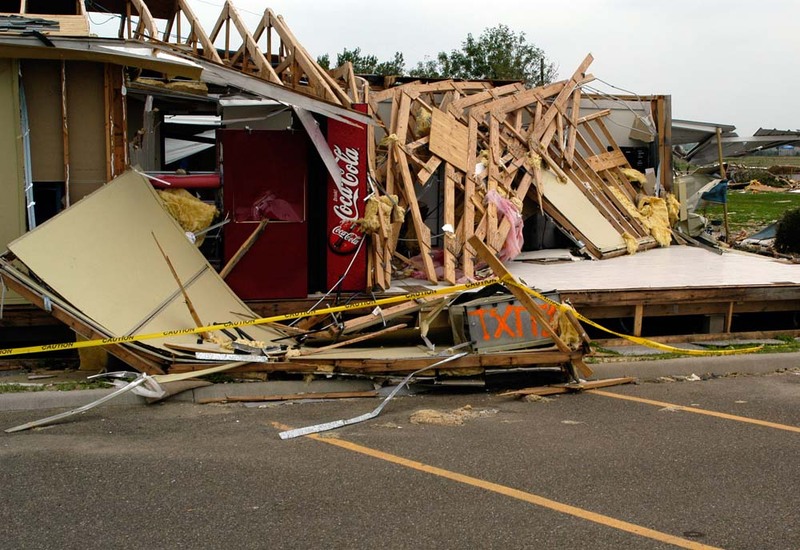 Damaged store front in Rosita Valley, Texas (2007). A living room and possessions in Rosita Valley, Texas (2007). 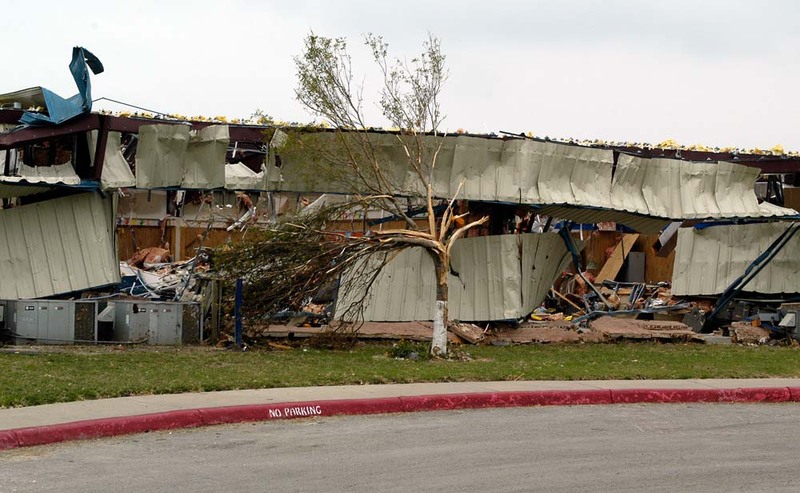 Damaged wing of Rosita Valley Elementary School, Texas (2007). 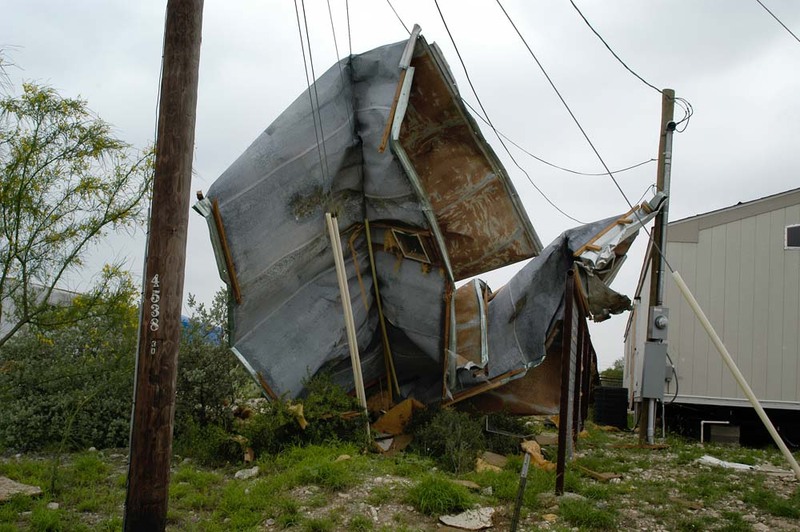 A metal shed wrapped around power lines in Rosita Valley, Texas (2007). 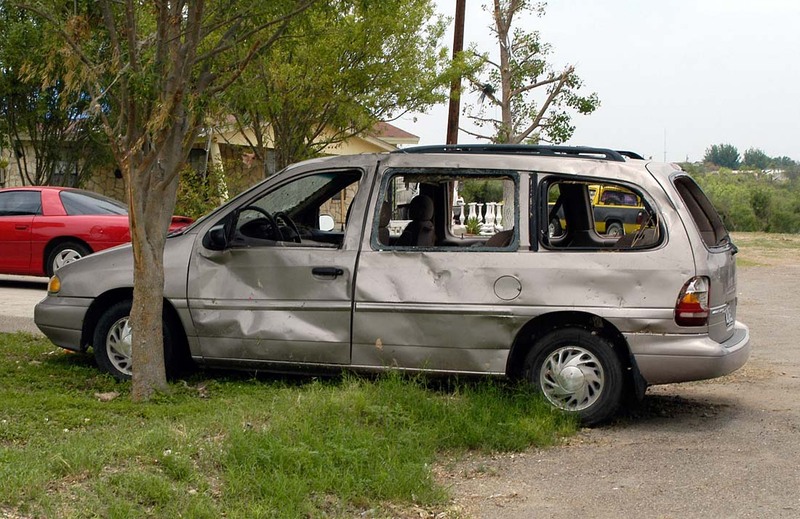 Battered car in Rosita Valley, Texas (2007). 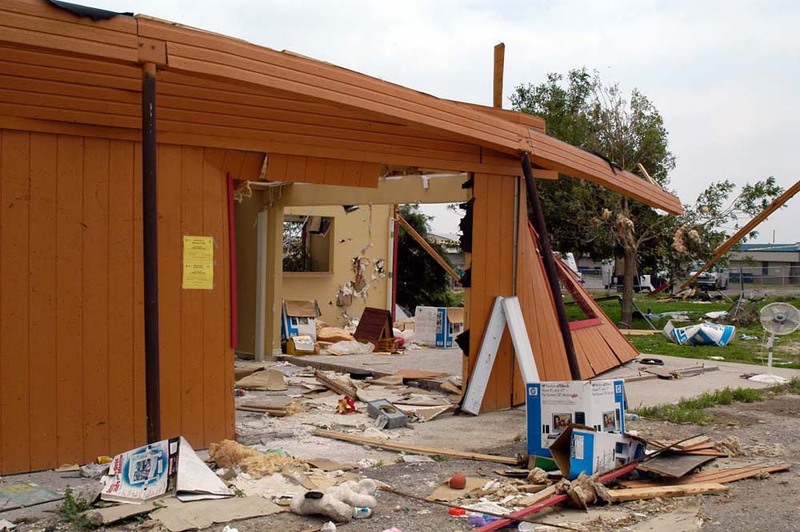 Ruined pre-school in Rosita Valley, Texas (2007). 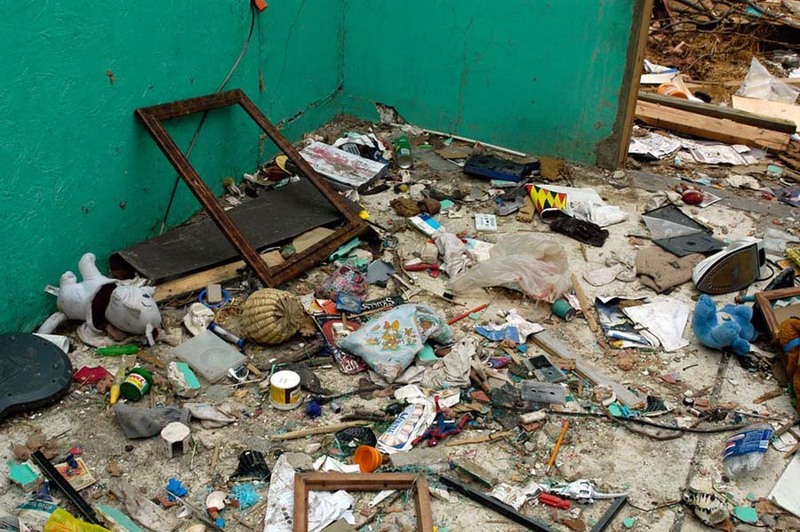 Scattered debris from a ruined pre-school in Rosita Valley, Texas (2007). House under repair in Rosita Valley, Texas (2007). 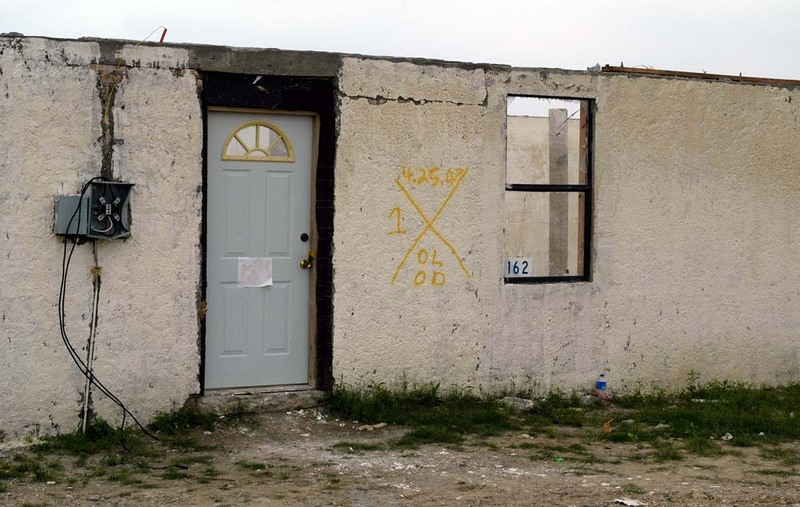 Roofless house with search-and-rescue marks on the wall in Rosita Valley, Texas (2007). 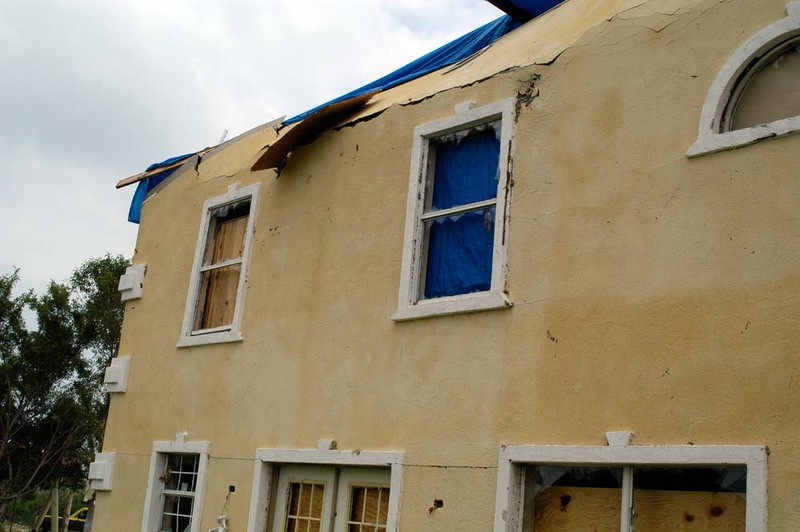 Damaged house in Rosita Valley, Texas (2007). 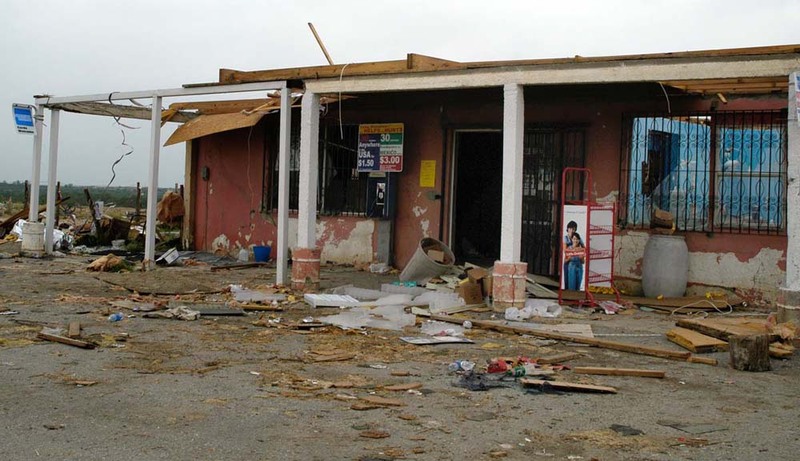 Damaged building in Rosita Valley, Texas (2007). 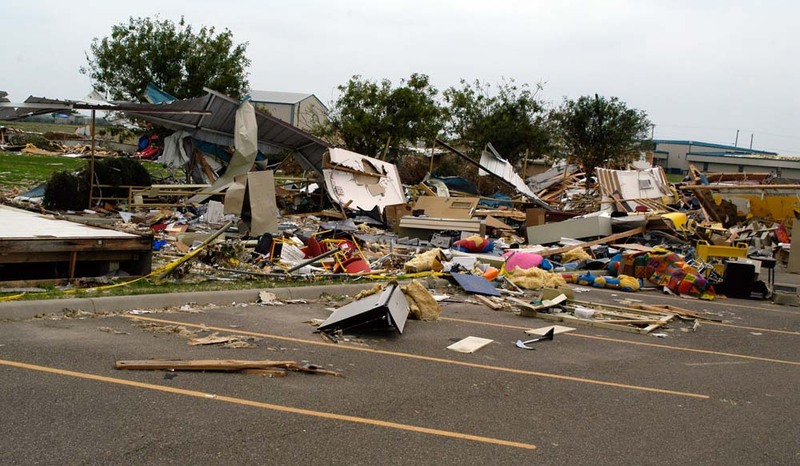 Mexican truck and workers helping clean up tornado damage in Rosita Valley, Texas (2007). 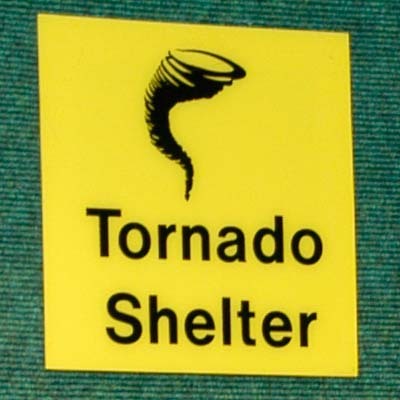 Relevant for disaster diplomacy; see the Mexico-USA case study.